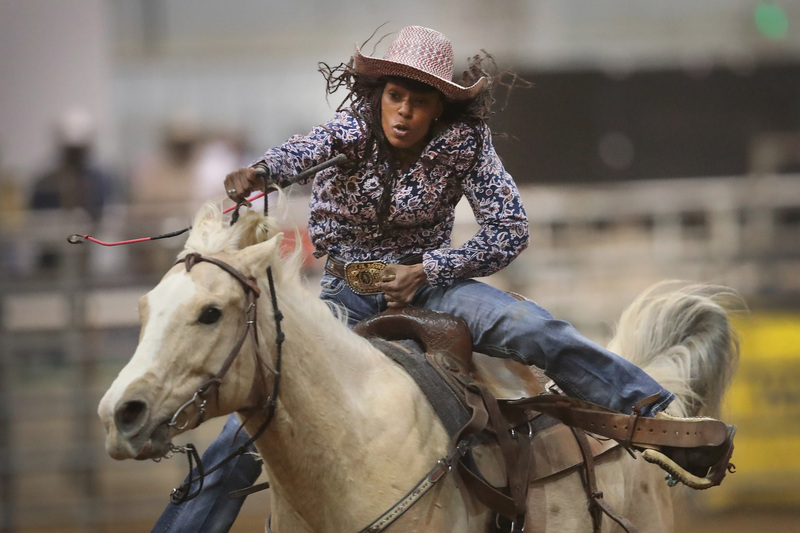 A cowgirl participates in the barrel race competition at the Bill Pickett Invitational Rodeo on April 1 in Memphis, Tennessee. 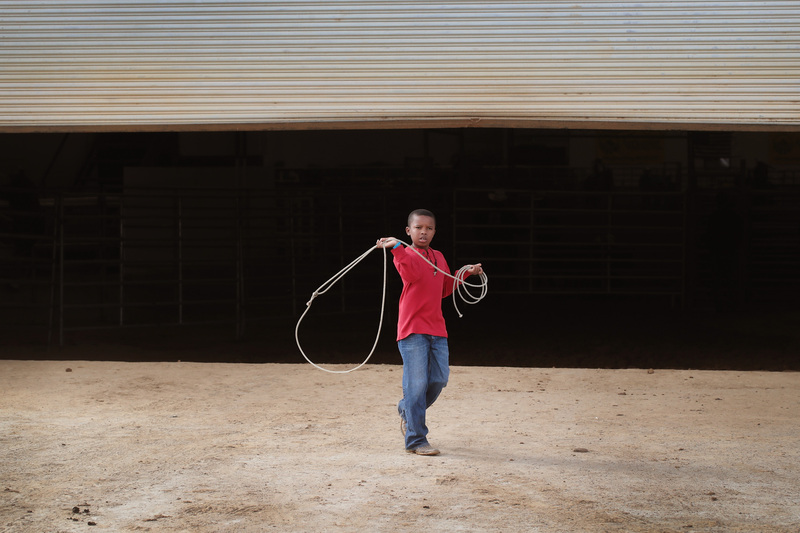 Ronald Jennings, 11, practices with a rope before the start of competition at the Bill Pickett Invitational Rodeo on March 31 in Memphis, Tennessee. 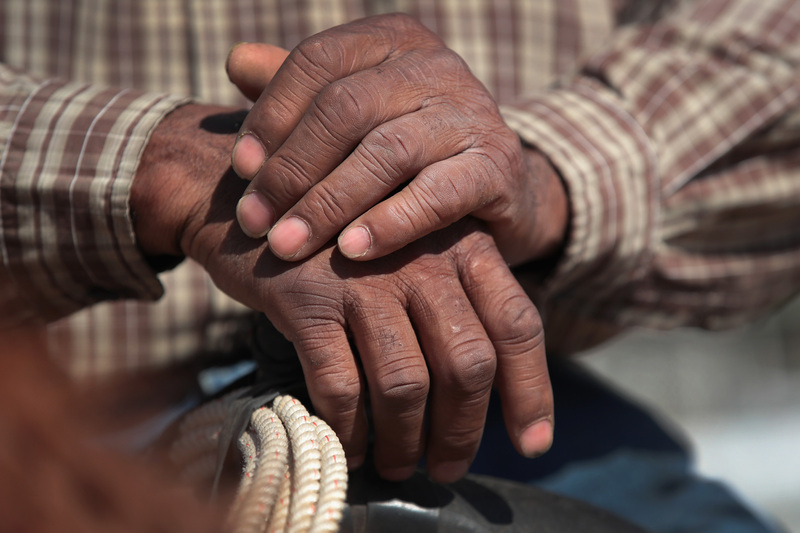 The rodeo is the nation’s only touring black rodeo competition. Bubba Eacholes sits on his horse before the start of competition at the Bill Pickett Invitational Rodeo on April 1 in Memphis, Tennessee. 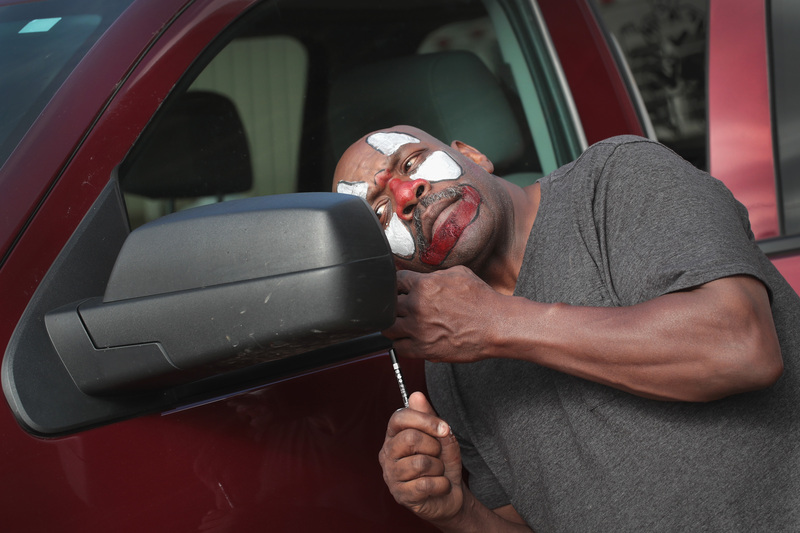 Avery Ford, a rodeo clown who performs as Spanky, uses his truck mirror to apply his makeup before the start of competition at the Bill Pickett Invitational Rodeo on March 31 in Memphis, Tennessee. 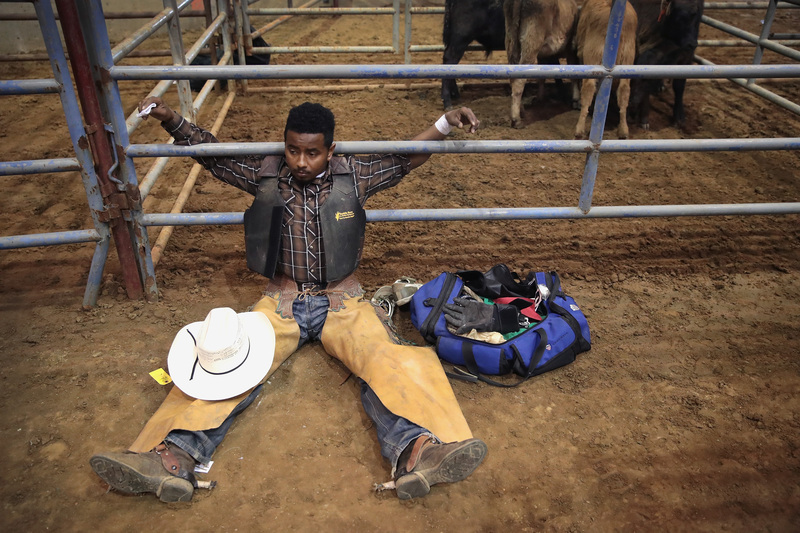 Bull rider Anthony Monts Jr. stretches before his ride at the Bill Pickett Invitational Rodeo on March 31 in Memphis, Tennessee. Tory Johnson participates in the bulldogging competition at the Bill Pickett Invitational Rodeo on April 1 in Memphis, Tennessee. 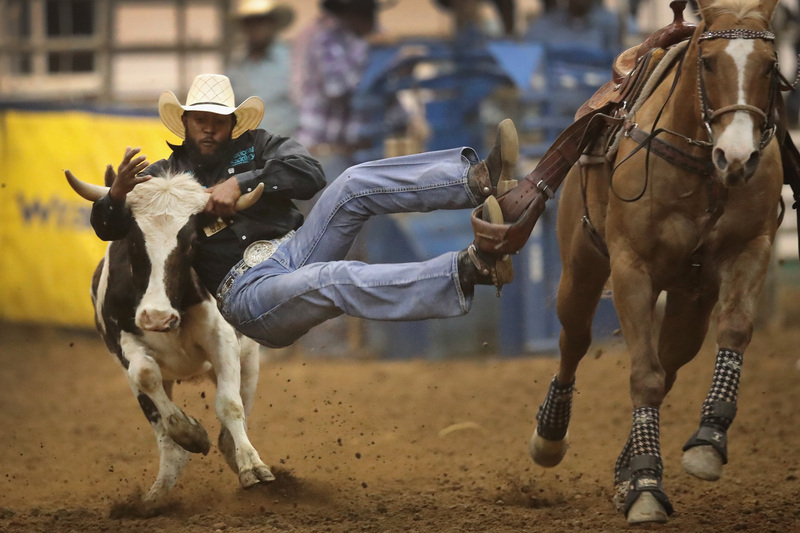 The rodeo is the nation’s only touring black rodeo competition. 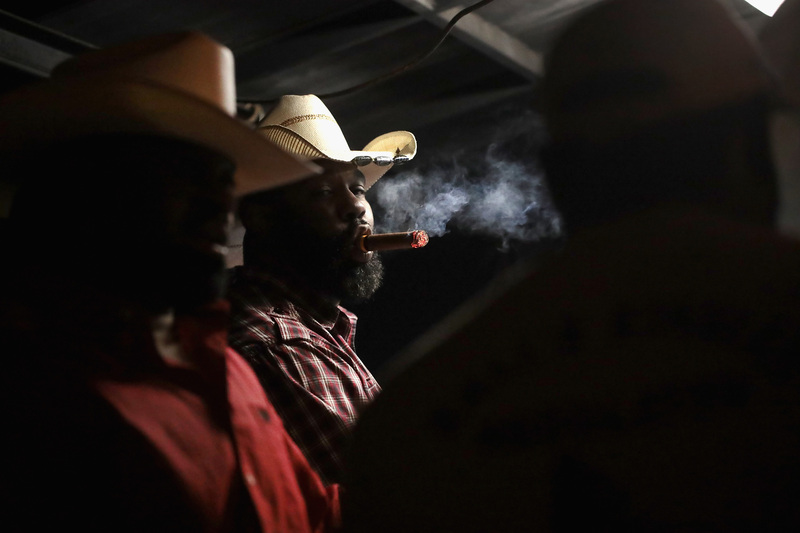 Cowboys relax at a late-night barbecue following a day of competition at the Bill Pickett Invitational Rodeo on April 1 in Memphis, Tennessee. 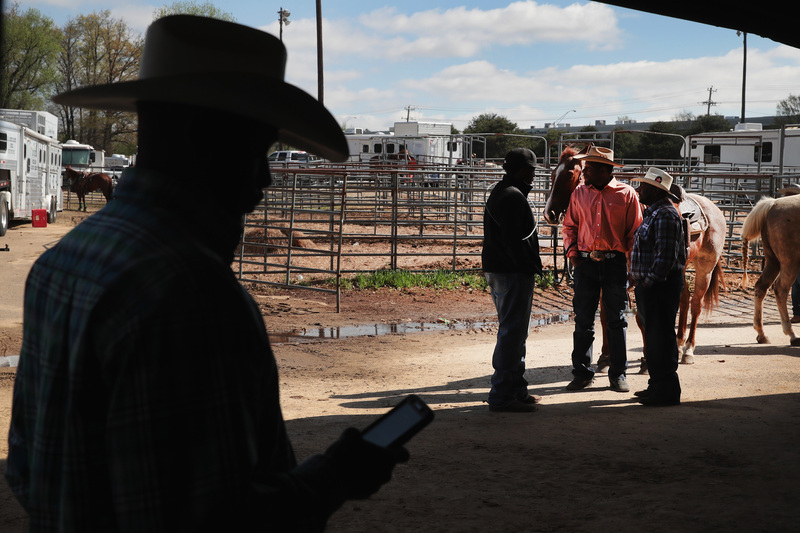 Cowboys wait for the start of competition at the Bill Pickett Invitational Rodeo on March 31 in Memphis, Tennessee. 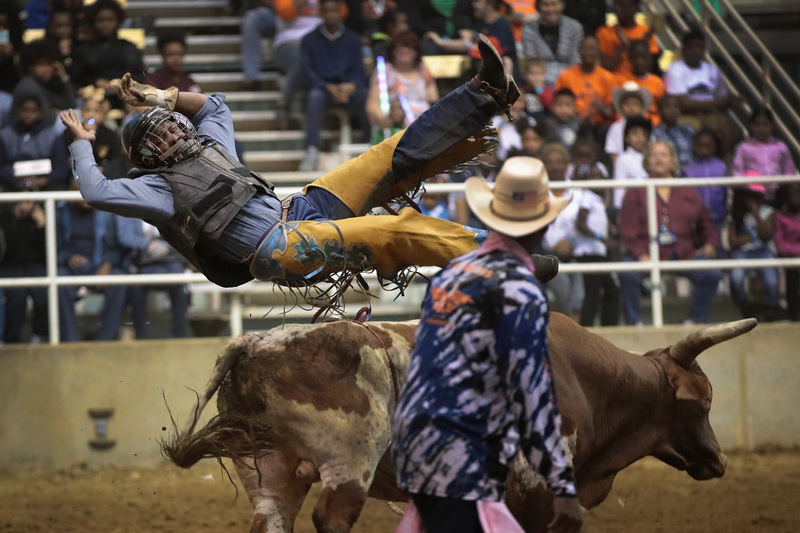 Jimmy Patterson is thrown from his bull at the Bill Pickett Invitational Rodeo on March 31 in Memphis, Tennessee. 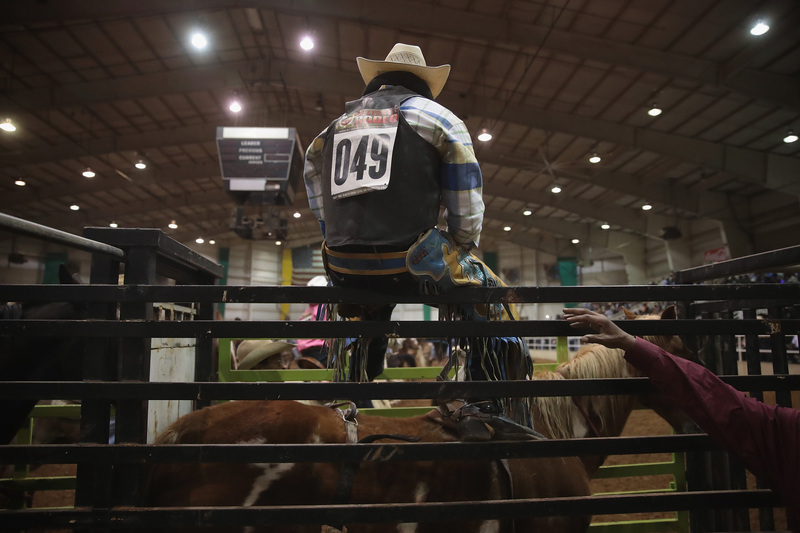 A cowboy prepares for the bronc competition at the Bill Pickett Invitational Rodeo on April 1 in Memphis, Tennessee. 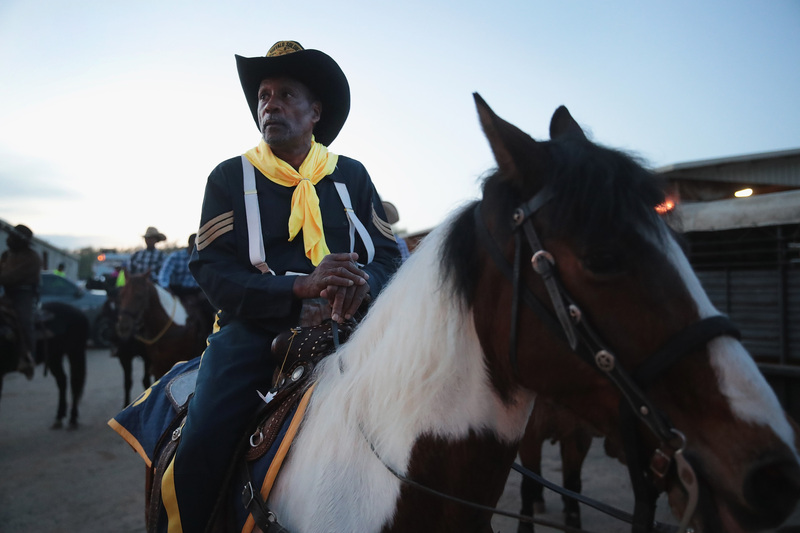 Tommy O. Penson, a Buffalo Soldier re-enactor, participates in the Bill Pickett Invitational Rodeo on April 1 in Memphis, Tennessee. 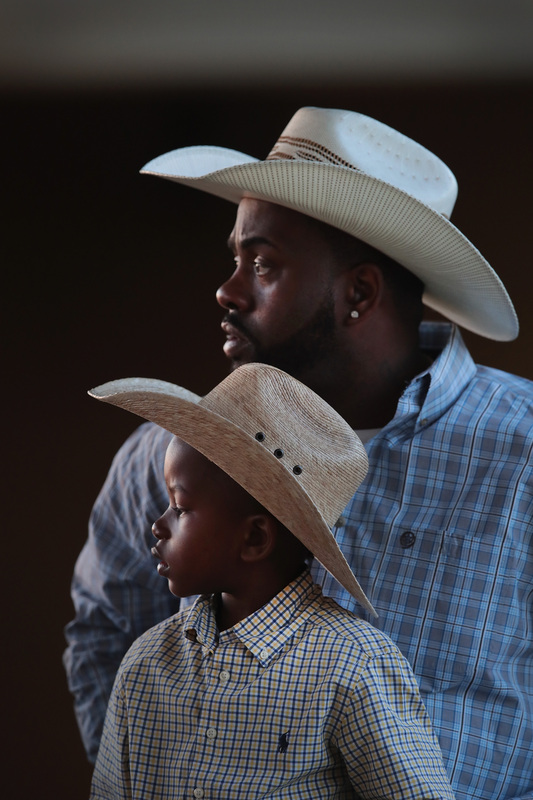 Jamil Hunt shares a saddle with his 6-year-old son Jamil Hunt Jr. as they prepare to ride into the arena for the start of competition at the Bill Pickett Invitational Rodeo on April 1 in Memphis, Tennessee. 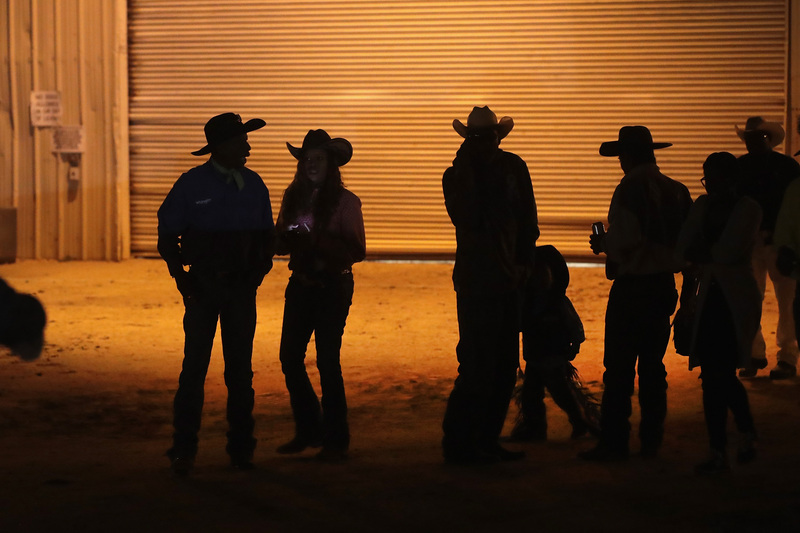 Participants leave the arena following a day of competition at the Bill Pickett Invitational Rodeo on April 1 in Memphis, Tennessee.